We have been safely operating since 1983. 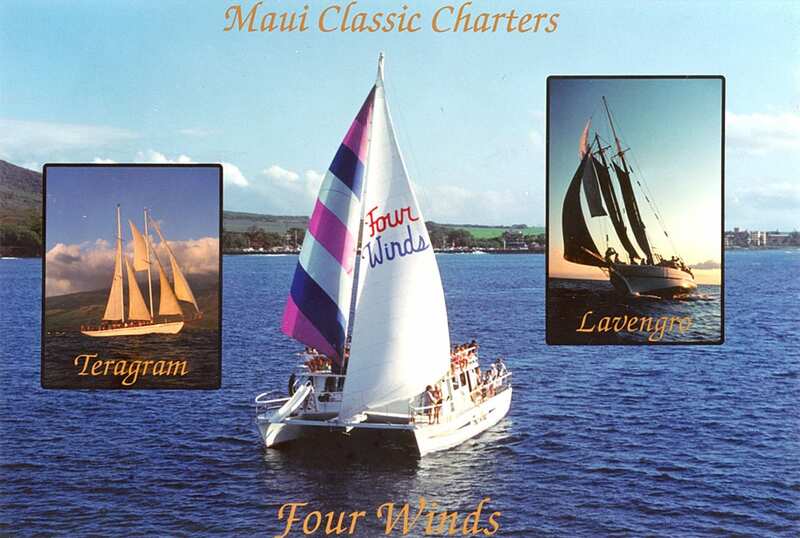 Maui Classic Charters has been taking visitors snorkeling around Maui since 1983. 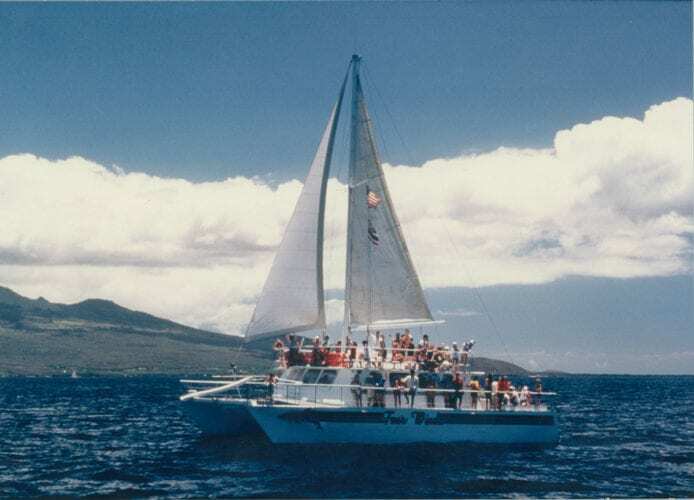 We are one of the original charter boat companies to take visitors to Molokini. Today, we continue to set the standards, for quality, value, excellence, and outstanding customer service. 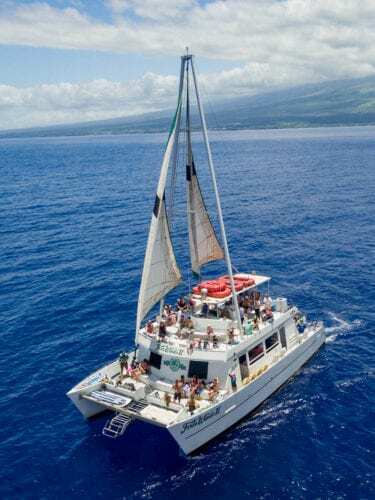 Featuring two boats, the Four Winds II and the Maui Magic, Maui Classic Charters is also one of the most diverse snorkel charter boat companies on the island. Added Features: Features An Upper Deck, Double Swim-Steps, Waterslide, Marine Head (Toilet), Multi-Speaker Sound System, Covered Galley, BBQ Grill, USCG Safety Devices, Satellite Beacon, Depth Finder. Safety and Technology: USCG Safety Floatation Devices, Radar, Satellite Beacon, Depth Finder, Marine-Band and Cellular Communications. Speeds: A Cruising Speed of 15 Knots (about 18 mph). Power: Twin Cummings 435 horse power engines driving 28 inch bronze propellers through ZF IRM 305A marine gears. 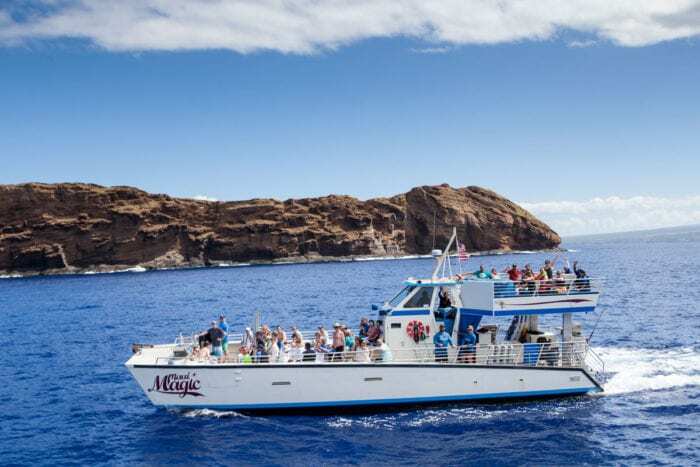 Capacity: The Maui Magic is US Coast Guard approved for 64 passengers, but we take no more than 45 to ensure maximum comfort. Was our original “perfect-for-the-whole-family” snorkel boat. Maui Classic Charters donated her to the University of Hawaii at Hilo for their Kalakaua Marine Education Center. For use in the undergraduate marine science program, as well as coral reef monitoring courses, and research projects. In her long 73 year career, she was used as a personal yacht, served with the Coast Guard in World War II, chartered trips in Alaska, and eventually came to Hawaii in 1986.